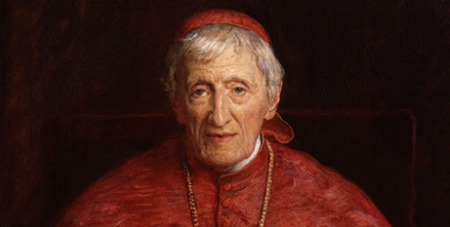 The Vatican has announced that John Henry Newman will be declared a saint after Pope Francis approved a second miracle attributed to the English cardinal’s intercession. Source: The Tablet. The ruling means that Blessed Newman will be canonised, a decision that comes nine years after his beatification by Benedict XVI during his visit to the UK in 2010. The Vatican did not release details of the second miracle attributed to Blessed Newman, but it has been reported to concern the healing of a woman suffering from a “life-threatening pregnancy” in the Archdiocese of Chicago. The former Anglican priest was one of the highest profile figures to be received into the Catholic Church in Victorian England and one of the most important religious figures of his generation. His hymns, poetry and theological writings form an important body of Christian thinking which continues to inspire the Church and has garnered internal attention. His reflections on the development of doctrine provided some of the theological architecture for Vatican II while his autobiography, Apologia Pro Vita Sua (A defence of one's own life), is a powerful exposition of his journey from Evangelical Christianity to Catholicism. Blessed Newman’s road to sainthood started in 1991 when St John Paul II declared him venerable and, then, around a decade later a deacon in Boston in the United States, Jack Sullivan, attributed the English cardinal’s intercession to a debilitating spinal problem. That healing was investigated and confirmed as a miracle by the Vatican with Benedict XVI then beatifying Cardinal Newman on 19 September ,2010, in Cofton Park, Birmingham. John Henry Newman was born in 1801 and after his conversion established the Oratory community in Birmingham in 1848. He was named a cardinal by Pope Leo XIII in 1879 and died in 1890.